Whether you are a Baractogenarian (an Obama supporter over the age of twenty) or an Obombre (a Spanish-speaking male who supports Obama), you'll cherish this indispensable guide to one of the greatest Obomenons in American politics. On a fateful night in Boston, Barack Obama took the stage at the Democratic National Convention and introduced himself to America. At the top of the agenda: that funny assemblage of b's and a's that he called a name. His parents, he said, "would give me an African name, Barack, or 'blessed,' believing that in a tolerant America, your name is no barrier to success." Through no particular effort of his own, Barack Obama's name began its offensive on the American lexicon. The English language, arguably Obama's greatest weapon in his bid for the presidency, is ripe for Obamafication. 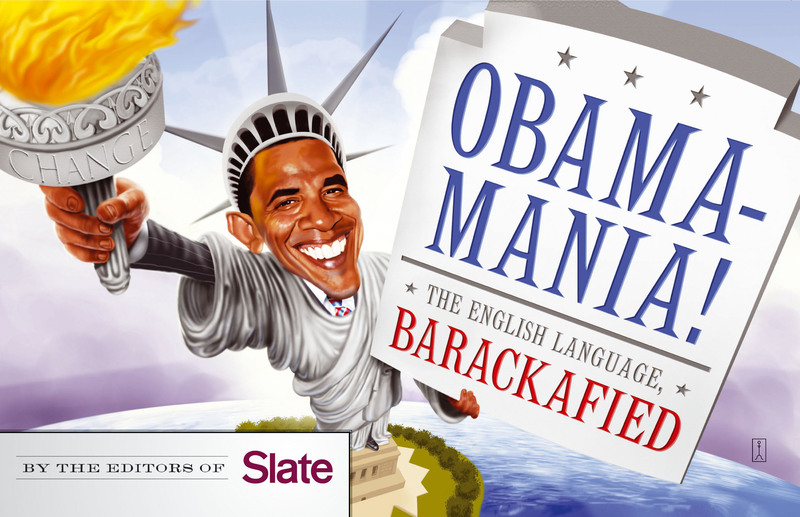 In that spirit, Slate presents Obamamania! an amusing and oddly informative collection of words that have been retrofitted with Obama's moniker to create a new vocabulary for this new era. Slate (www.slate.com) is a daily online magazine that offers fresh angles on stories in the news and innovative entertainment coverage, all with their signature wit and irreverence. With more than 6 million readers a month, Slate is one of the leading magazines on the web. Chris Wilson is a reporter at Slate Magazine, where he covers politics, business and technology and contributes to the Explainer column. Wilson has previously worked at U.S. News & World Report, Congressional Quarterly, and the Washingtonian. He is a graduate of the University of Virginia, where he was the editor of the Cavalier Daily, and currently lives in Washington, D.C.
Book Cover Image (jpg): Obamamania!